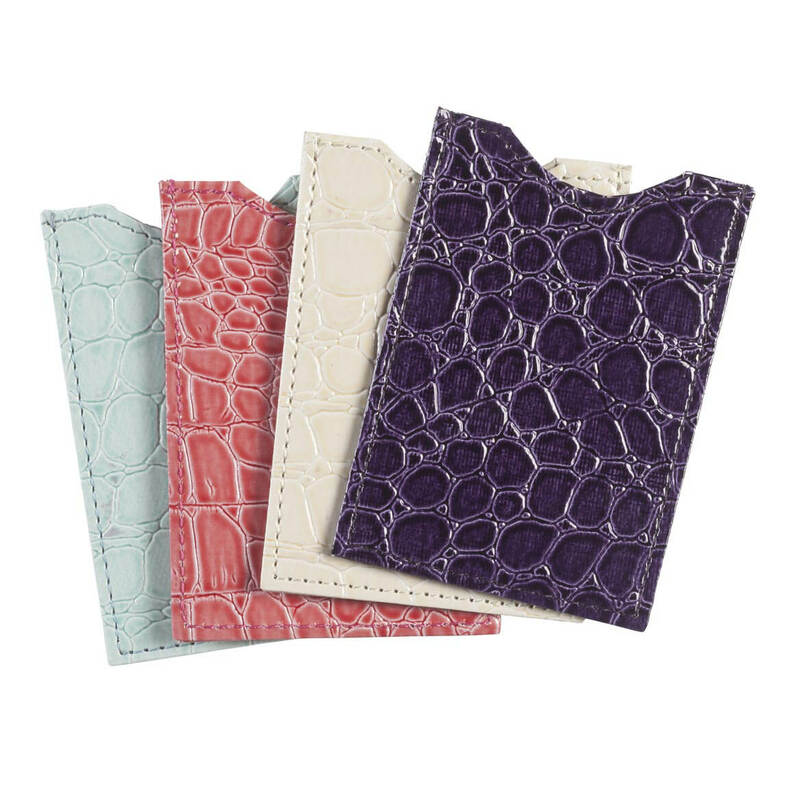 These hold my credit cards very well and protect them. They are also very nice colors. I would buy this set again. This set of sleeves worked better than the other set that I bought and threw away. The sleeves are large enough to easily slide the cards in and out and small enough to put in my husband's wallet. If they are all made this way, then I would buy another set. I would recommend everyone using these. I feel safer with these protecting my credit cards. 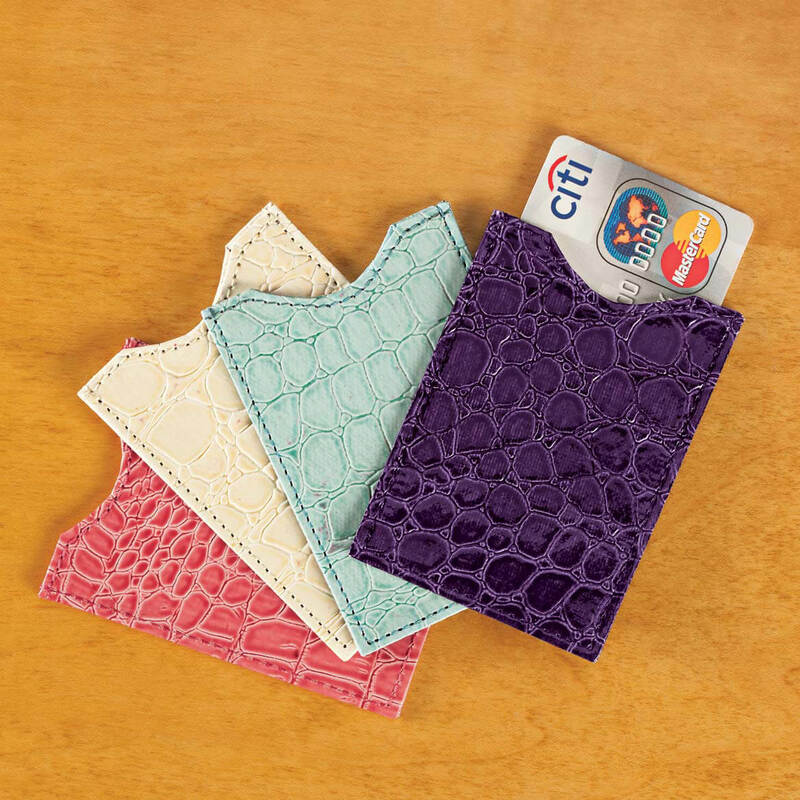 These sleeves are too thick, and bigger than the credit cards We can't put them in our wallet. While travelling in Europe and Hawaii, both my daughter and I had our credit card numbers stolen. Fortunately, the bank stopped the transactions, but I've used these sleeves ever since, and put them in my family's Christmas stockings. colorful and the price is right. Love the quality that Miles Kimball offer with affordable prices. Thank you! So no one can get my info from my cards inside my purse. MORE THAN 4 CARDS. WANT TO BE ABLE TO IDENTIFY THE CARD BY THE SLEEVE. Bought for my sister has ALZ hoping different colors will help her with selecting the correct card. Have been lucky so far, but think these RFID sleeves will give me peace of mind both locally and when I travel. My Grand daughter is traveling out of the country this summer. I want to make sure her information is secure. These days you can never be too careful and doing everything i can to protect myself just makes sense. As for the colors, I like them better than the neutrals. VERY USEFUL ON PROTECTING MY CREDIT CARDS SCRATCHING. My 6 year old sleeves are in tatters! And they work! It's intelligent to protect yourself and maintain an aspect of controlling your safety. To protect my card information. Great stocking stuffer gifts for ID protection. Security of my credit cards. I have been considering for a while. I feel scammers will be out now that it is summer this would be the best time, plus my card has been compromised. The paper ones from the bank constantly rip. The ones I ordered from you a few years ago are finally wearing down, and I need some new ones to use. I also share extras with my friends. Feel that these days you need all the security you can get.